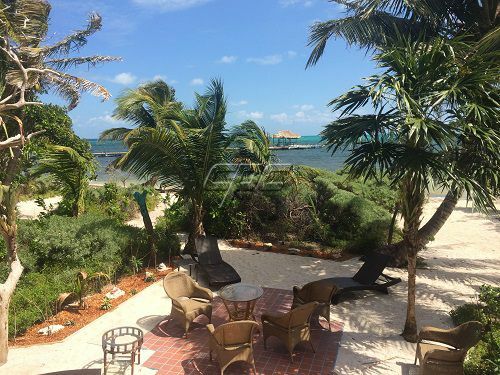 This Eco Resort is an ecologically and sustainably designed and managed resort located on Long Caye Lighthouse Reef Atoll, Belize. 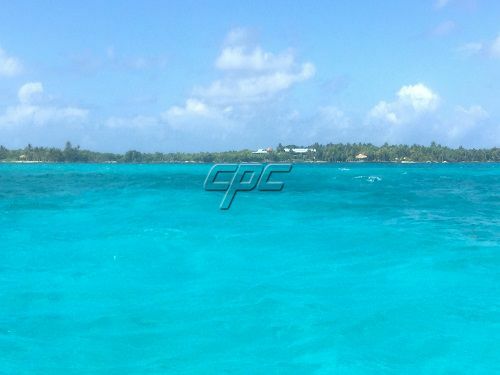 It is only a 1 to 1.5 hour Boat Ride from Belize City. 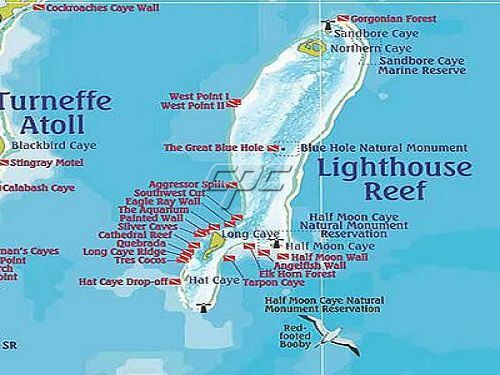 The Lighthouse Reef Atoll is where the Great Blue Hole (World #1 Dive site– SCUBA Magazine) is located. 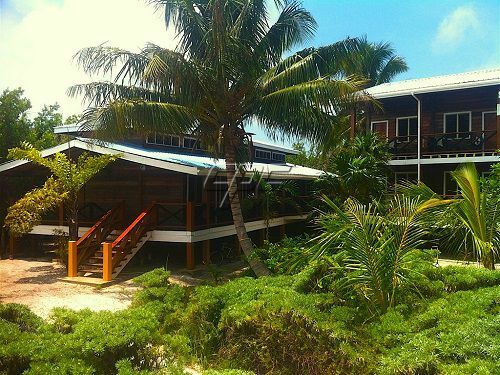 It is a Full Service Resort located in the atoll and located within 8 miles of the Great Blue Hole. 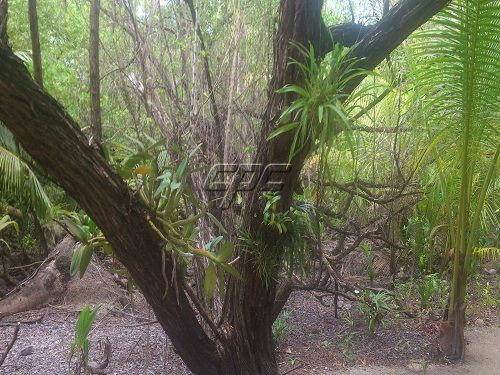 It lies on prime Beachfront land, right next to the Main Pier. 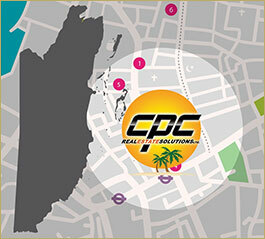 It is the best commercial property on Long Caye Island. 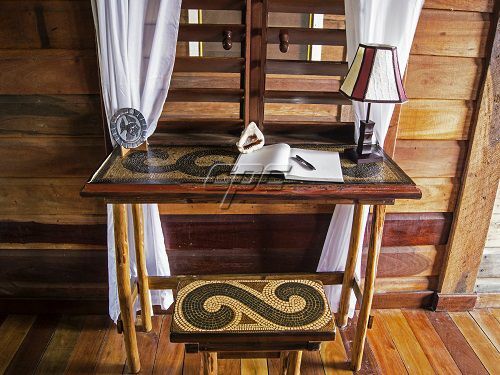 The Eco-Resort is constructed of local exotic hardwoods in an attractive and extremely sturdy post and beam construction style. 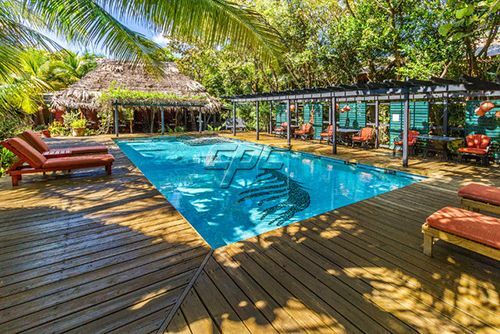 In summary, this Eco-Resort is simply a unique resort in a unique location. The premises are “ready for use, fully operating”, the facility is a young development with a huge potential for growth. It has 24 oceanfront rooms. 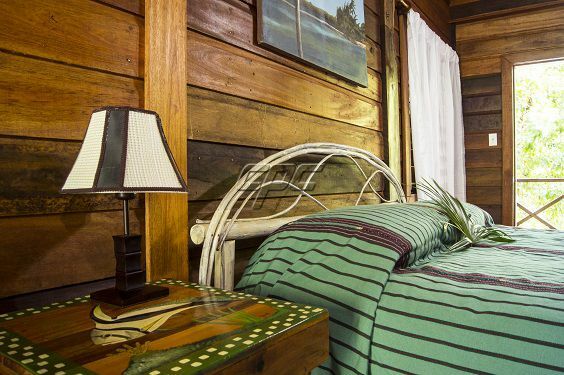 The 12 main lodge rooms have private baths balconies and ocean views, and upstairs rooms have vaulted ceilings. 12 smaller rooms have shared balconies and 4 shared bathrooms. 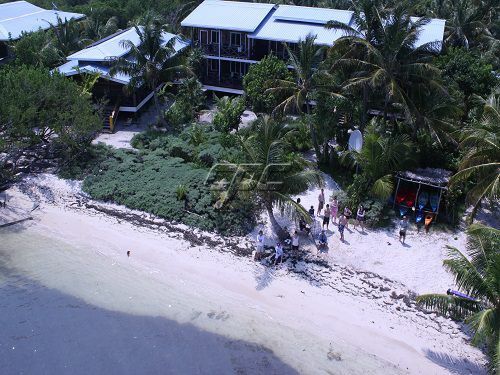 The Eco-Resort has a beachfront full service, licensed, covered Bar and Restaurant with seating for 70+ people, and a large fully working commercial kitchen. It offers also a large facility room for meetings and events, office and gift shop space, broadband Satellite internet and US dial tone (via VOIP) for communications. 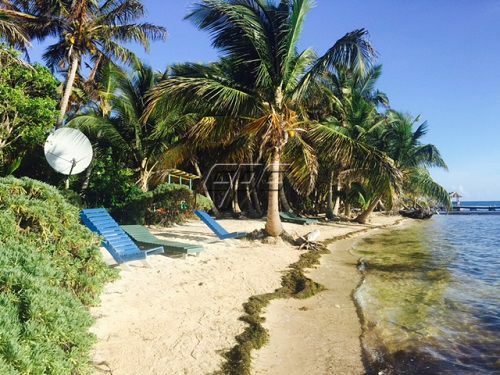 The dive sites off the Western Shore of Long Caye are also some of the best and most famous in Belize. Long Caye is also an extraordinary environment for Birding, with hundreds of native and migratory species around the year. 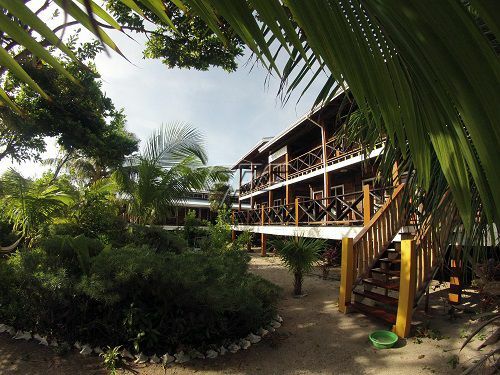 The Eco-Resort is HOURS closer to the Great Blue Hole than any other Resort in Belize. 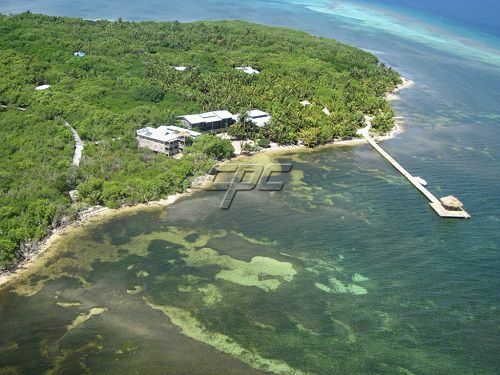 Located just 8 miles from the Great Blue Hole Natural Monument and 3 miles from Half Moon Caye Natural Monument. (Both UNESCO World Heritage Sites.) Flats Fishing and Deep Sea Fishing from the shores and the Main Pier are instantly accessible. 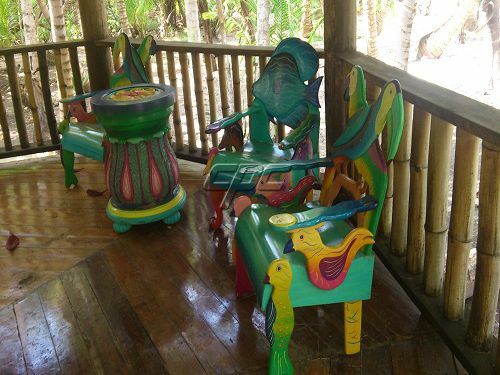 Long Caye is an ecologically conscious development. 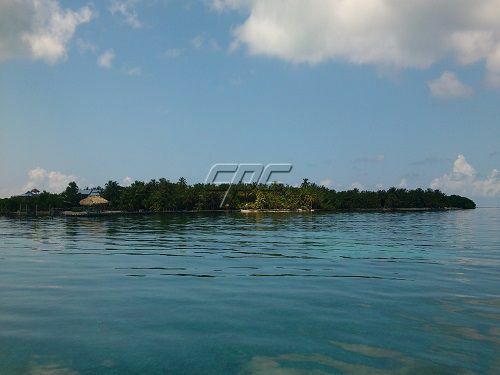 Most of the Caye has been put into permanent preserve. 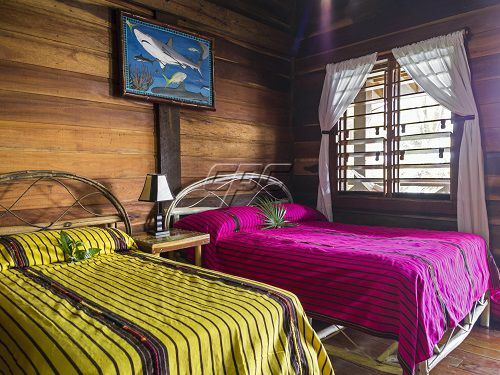 World Renowned Dive Sites Surrounding Long Caye, Snorkeling, Fishing (flats and deep-sea), Kayaking, Stand-up Paddle boarding, biking, exploring, birding, etc. This exceptional hospitality facility is primed and ready for new owners to take command. The architectural appeal, extraordinary location, strong market and the superb quality of the surrounding environment provide a strong basis for future growth and prosperity at the Eco-Resort. 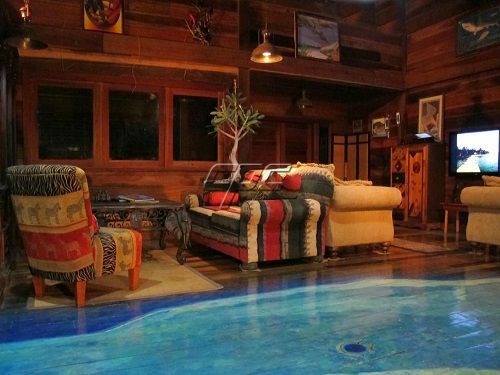 It is being sold with all its furnishings and equipment. 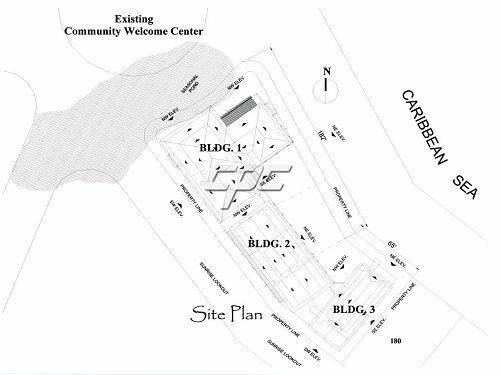 An extensive overview of the Resort can be attained by request. Please contact us for pricing, questions, also to schedule a visit.